This show was a different kind of show for the Krofft brothers. It wasn't as trippy as most of their creations and it was fairly close to being a straight adventure series. It also had a twist where the kid partner was the leader and the so-called adult was the sidekick. 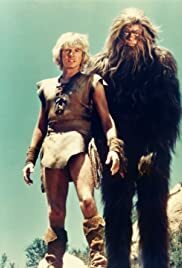 Another thing that I liked about the show was that it was videotaped rather than filmed which made I think that gave it more of an edge than most of the Krofft shows.